The Geography minor, offered by the HGEP Department, is designed to introduce students to the description and analysis of the Earth. 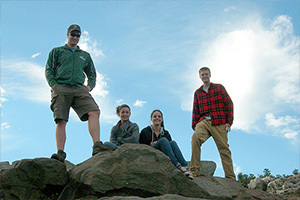 Because Geography utilizes tools and techniques found in the natural sciences, social sciences, arts, and humanities, it is a "unifying" discipline that, as a minor, complements many majors offered at Castleton University. Six GEO courses, at least two of which must be at the 3000 level or above.